Microsoft hat zum Valentinstag richtig abgefeuert. Neben dem neuen Update für Windows 10 Mobile , gibt es sowohl Windows 10 Updates für den Fast Ring als auch das erste Redstone 5 Build für „Skip Ahead“-Tester. 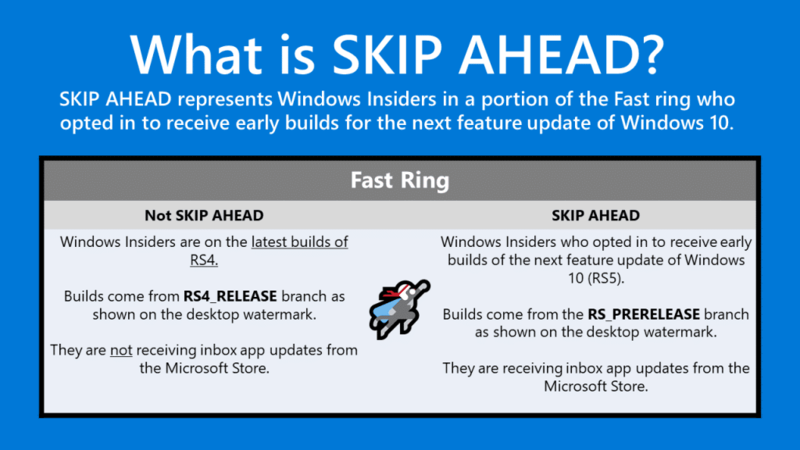 Fast Ring Insider bekommen Build 17101, „Skip Ahead“ geht über auf Windows 10 Build 17604. Redstone 4 befindet sich somit auf der Zielgeraden zum Release und wird in den nächsten Releases vor allem Feinschliff erhalten – rechnet also nicht mehr mit sehr vielen neuen Features. „Skip Ahead“-Insider dürfen nun schon einige Features ausprobieren, die erst für das nächsten große Windows 10 Update kommen. 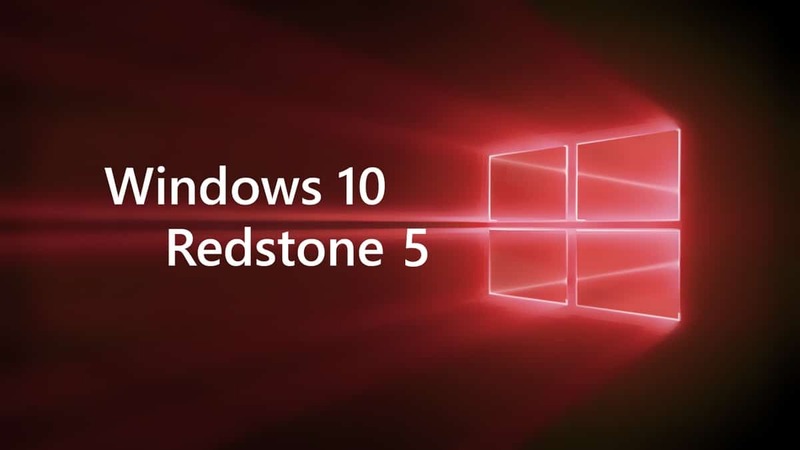 Redstone 5 wird im Herbst 2018 offiziell ausgeliefert. Ab dem neuen Update ist auch das App Insider Programm offiziell gestartet, von dem wir letzte Woche berichtet haben. Emoji search comes to more languages: Earlier in RS4, we updated the Emoji Panel to support browsing and picking emoji in many new locales. With today’s build, we’re bringing search support to more locales too! Now you can find an emoji by keyword in over 150 locales, including English (Great Britain), French (France), German (Germany), Spanish (Spain), and more. This will help you get the emoji you want easily and quickly. As a reminder, to bring up the Emoji Panel set focus to a text field and press WIN + (period) or WIN + (semicolon). UWP File System Access: With this build we’re giving you more control so you can now decide which UWP apps can access your full file system. Particular UWP apps will be granted permission to have broad file system access. This capability will be granted on a per app basis by Microsoft. If a UWP app has the broad file system access restricted capability, you will receive a consent dialog prompting you to accept or deny the request. If at any time you change your mind about the decision, you can go to Settings > Privacy where you’ll find a new Settings page for File System Access. On this page, you can turn access on or off globally, and if it’s on you can also turn it on or off for each app that has requested the capability. UWPs with broad file system access will not appear in the Photos, Videos, or Documents privacy settings pages. If you grant broad file system access, this includes Photos, Videos and Documents. A new power scheme – Ultimate Performance: Demanding workloads on workstations always desire more performance. As part of our effort to provide the absolute maximum performance we’re introducing a new power policy called Ultimate Performance. Windows has developed key areas where performance and efficiency tradeoffs are made in the OS. Over time, we’ve amassed a collection of settings which allow the OS to quickly tune the behavior based on user preference, policy, underlying hardware or workload. This new policy builds on the current High-Performance policy, and it goes a step further to eliminate micro-latencies associated with fine grained power management techniques. The Ultimate Performance Power plan is selectable either by an OEM on new systems or selectable by a user. To do so, you can go to Control Panel and navigate to Power Options under Hardware and Sound (you can also “run” Powercfg.cpl). Just like other power policies in Windows, the contents of the Ultimate Performance policy can be customized. As the power scheme is geared towards reducing micro-latencies it may directly impact hardware; and consume more power than the default balanced plan. The Ultimate Performance power policy is currently not available on battery powered systems. We’ll continue to tune and evaluate the power plan settings. To submit feedback please use the Feedback Hub and file your feedback under Power & Battery > Setting category. If you’re a Windows Insider running the Workstation or Enterprise edition, you can see these features in Builds 17079 or greater. We fixed an issue from the last flight were some PCs failed to resume from hibernate (requiring a hard reboot to recover). We fixed an issue after upgrading to the last flight where Start didn’t work for Insiders who’d had HomeGroup added as a folder to appear on Start. We’ve updated the touch keyboard so that if you try to shapewrite in an unsupported text field or when the typing resources aren’t installed, you won’t see the shapewriting trail as you swipe your finger over the keys. We fixed an issue where the touch keyboard showed an English layout with no IME on/off key when an East Asian keyboard is the only input method on your system. We fixed an issue where if you install a font product from the Microsoft Store, then later install a new build (feature update), the Store package will remain installed, but the fonts within the package are not installed. Until this is fixed, the temporary workaround is to uninstall the product from the Apps page in Settings, then re-acquire the product from the Store. We fixed an issue that could result in the mouse cursor suddenly jump to screen corner while mouse was moving in a List Control. We fixed an issue resulting in newly installed Microsoft Edge extensions not appearing in the Extensions pane in the last two flights. We fixed an issue resulting in certain fingerprint readers not working in recent flights. We fixed an issue where Windows Hello failed to work on Surface Laptops with the last build. We’re updating the “Advanced graphics settings” link on the Display Settings page to now just say “Graphics Settings”. When your volume is muted, the volume icons in the Sound Settings page will also now appear muted. If you click the Reset button on the App volume and device preferences page, it will now also reset any app specific volumes you’ve set back to default (100%). We fixed an issue resulting in app updates failing in the Microsoft Store with error 0x80070057 in recent builds. We fixed an issue resulting in app updates failing in the Microsoft Store with error 0x803FB005 in recent builds. We fixed an issue where in the text box for the Mixer stream title using non-character keys (e.g. Tab, Delete, Backspace, etc.) might cause the game to hang for a few seconds. We fixed an issue where keyboard and mouse input might not work correctly in the Game bar when playing a first person game (e.g. Minecraft). We fixed an issue during first shutdown/boot, or reboot, where for some users the device goes into a boot loop and the OS never loads. We have observed seeing longer-than-normal delays during install at the 88% mark. Some delays are as long as 90 minutes before moving forward. Please be patient as the install will complete successfully. Plugging in an external optical drive (DVD) will cause an Explorer.exe crash. Settings will crash if you open the Themes Settings page. 3 and 4 finger gestures on the touchpad are unresponsive. The Japanese IME sometimes can’t turn on in UWP apps. If you encounter this issue switch to a Win32 application (e.g. Notepad), turn the IME on there, then switch back to the UWP app. Bringing up Game bar using the Xbox button on an Xbox One controller doesn’t work in some games. In the text box for Mixer stream title, using non-character keys (e.g. Tab, Delete, Backspace, etc.) may cause the game to hang for a few seconds. In some games—such as Destiny 2 and Fortnite—mouse and keyboard input will still go to the game while Game bar is open. Keyboard and mouse input may not work correctly in Game bar when playing a first person game (e.g. Minecraft). Alt + Tab out of and into the game should fix this. We’re making it easier to try out the latest app updates with Insider Preview builds with the new Windows App Preview Program. We heard feedback from Windows Insiders that having to opt-in to Skip Ahead to receive the latest app updates wasn’t ideal as it required Insiders to also be on super-early and sometimes unstable builds of the OS. Insiders told us they wanted to be able to try out the latest app updates but be on the latest Insider Preview builds from the Fast, Slow, and Release Preview rings. Now through the Windows App Preview Program, Insiders in any ring can opt-in to preview individual apps. To opt-in to a preview for an app just go to the Settings or About page of the app and click the “Join preview” button. If the limit has been met for that app preview for the app you will get a notification on clicking the button and as more slots open up you can join the preview. Additionally, if you need to leave an app preview you can do so by also going to the Settings or About page and clicking the “Leave preview” button. These apps are rolling out previews in the next few days, so keep checking the app Settings/About page! Habt ihr die neuen Updates bereits heruntergeladen? Was sagt ihr zu den neuen Features? Schon jemand Redstone 5 installiert? Nope gelogen,.. Der sperre ließe sich auch wieder in den skip ahead setzen.. Ich bin glücklich.. Mal sehen ob ich es bleibe. Das Update besteht aus zwei Downloads. Der erste geht relativ flott.. Dürfte der übertritt in den skip ahead Ring sein. Der zweite dauert beim Download etwas länger. Für euch die ihr in der Registrierung rumgepielt haben meine. Surface war absolut im fluentdesign soweit möglich und der spectre war eine frische insider Installation bin gespannt wie sich das verhalten wird.. Hab noch einen rechner im fastring und einen Release PC. Die Unterschiede sind so schon umwerfend an zu schauen.